Next in the bunch of documents that I am looking to digitise is the internal and pre-conference bulletins of the International Socialists and Socialist Workers Party. 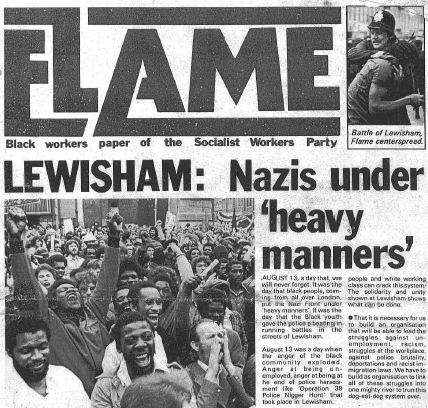 The documents that I have scanned were especially requested by another researcher so they are no the full IBs, but selections relating to anti-racism, anti-fascism and the SWP’s black workers paper, Flame (which I posted about earlier here). Most of these IBs are in my own personal collection or lent to me by former IS/SWP members, but one extract is from the Alastair Mutch Papers in the Modern Records Centre at the University of Warwick. Due to the antiquated scanner that I have access to, the file is in two parts. Download the first part here and the second part here. Enjoy! Straight Left’s origins lie in the left pro-Soviet oppositions that emerged in the Communist Party of Great Britain in the 1960s. In this period, a definite ‘party within a party’ emerged, with figures such as Sid French, district secretary of Surrey CPGB, becoming key leaders. The general critique that emerged from this faction was a concern over the CPGB leadership distancing itself from the Soviet Union (such as around the invasion of Czechoslovakia in 1968) and other ‘socialist’ countries; a preference for a more ‘workerist’ identity (for example, the faction would have been happy with the CPGB’s paper remaining as the Daily Worker in 1966) and a concentration on workplaces/trade unions; and a sense that the party was squandering its resources in futile election contests and alienating the left of the Labour Party, with whom it was meant to be developing a close relationship on the British road to socialism (BRS), the CPGB programme. However, a significant part of the faction felt that the BRS was ‘reformist’ and ‘revisionist’ in all its guises from 1951, counter-posing a revolutionary path to the parliamentary road to socialism envisaged in the CPGB’s existing programme. This stance was clouded in ambiguity in many sections of the CPGB’s left, with the default position usually being expressed in a preference for the 1951 version of the BRS overseen by Stalin, as opposed to later versions modified by a ‘revisionist’ CPGB leadership. [i] This opposition suffered a major split in the run-up to the CPGB’s 1977 congress, with Sid French taking away 700 or so supporters to form the New Communist Party (after French realised that the CPGB’s leadership was intent on a reorganisation of his Surrey district, which would have deprived him of his organisational bridgehead). The rump left opposition in the CPGB coalesced around Fergus Nicholson (other key figures were John Foster, Brian Filling, Nick Wright, Susan Michie, Pat Turnbull and Andrew Murray) who had been the CPGB’s student organiser until 1974. The Straight Left newspaper was launched in 1979, with a theoretical magazine, Communist, also appearing. Membership figures are impossible to guess. However, judging from the Communist, the faction did have a wide national infrastructure beyond London through the 1980s and was certainly on a par with, if not in some places more deeper rooted than, the other oppositional stream around the Morning Star (see below). The Straight Left group provoked a lot of enmity from its factional rivals in the CPGB. Thus, Mike Hicks, who was involved in the Communist Campaign Group (CCG), set up after the rebellion of Morning Star supporters against the CPGB leadership in the mid-1980s, and later the first general secretary of the 1988 Communist Party of Britain split (both criticised and opposed by the Straight Left faction), said in the late 1990s: “Straight Left was neither straight nor left.”[ii] Similarly, a CCG document complained: “The individuals grouped around Straight Left have their own newspaper, their own organisation, and their own objectives.”[iii] I have been told anecdotally by CPGB activists of the time that Straight Left was thought to have three circles: an inner ‘Leninist’ core; a broader circle of sympathisers in the CPGB; and the ‘softer’ Labourite and trade unionists grouped around the Straight Left newspaper (non-CPGB trade unionists such as Alan Sapper and Labour MPs such as Joan Maynard were on its advisory board). Certainly, the majority of the content of the newspaper was hewn from the same, dry ‘labour movement’ template used by the Morning Star, with little indication that it was the work of communists, apart from its commentary on the Soviet Union and other international matters. (The Communist journal, obviously aimed at CPGB sympathisers, was much more orthodox and harder Marxist-Leninist in tone, with a lot of very interesting commentary on inner-party CPGB matters.) So, Straight Left was a faction and did indulge in political camouflage but in this it was merely of its time. For example, the CCG’s disavowal of Straight Left’s factionalism was merely an attempt to throw people off the scent from the CCG’s own factionalism (the CCG unconvincingly complained it wasn’t a faction at all; just a group that wanted to follow the CPGB’s rules — which fooled nobody). The CPGB was riddled with factions in the 1980s (and throughout the post-war period), not least those grouped around Marxism Today and the party machine. Similarly, on Straight Left’s broad left camouflage in its newspaper and other forums, this was the modus operandi of nearly the whole far left, from the Morning Star to various Trotskyist groups i.e. communists clothing their politics in everything from trade unionism to feminism and concealing their true aims in the pursuit of mass influence. Again, in hindsight, Straight Left doesn’t strike one as very exceptional in this regard. In retrospect, the enmity aimed at it on these counts stands revealed as the product of mere factional rivalry. However, another area of criticism aimed at Straight Left may have more mileage in terms of a lasting judgement. The group was deemed by its CPGB factional rivals (both in the CCG and the small group around The Leninist) to have a ‘heads down’ approach to CPGB work. In the words of the CCG such an approach “counsels caution and compliance with the authority of the [CPGB’s] Executive Committee. It says that if there is disagreement and dissatisfaction with the Eurocommunists [the faction then dominating the party’s leadership], then opposition must be expressed and conducted via the normal party channels. That is to say, we must try at successive congresses to defeat and remove the Eurocommunists.”[iv] This led to notorious moves such as Straight Leftists walking out with the CPGB leader Gordon McLennan when he closed down a London District Congress in November 1984 that threatened to become a point of opposition to the party leadership. 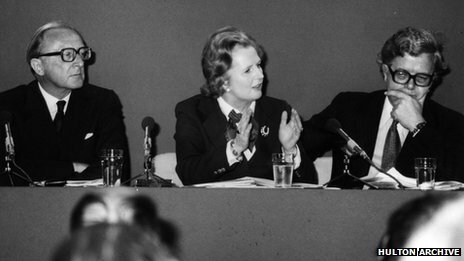 Mike Hicks, in the chair of this meeting, later contemptuously observed that Straight Left “ended up selling Marxism Today [CPGB theoretical journal much despised by the party’s left in the 1980s for its Eurocommunist proclivities] instead of the Morning Star because the executive told them to”. [v] However, what this Straight Left strategy of avoiding open conflict eventually led to, in the context of a CPGB that was being set on a liquidationist course, was it being left somewhat high and dry. Straight Left had built a considerable base in London by the end of the 1980s “by showing a willingness to take on responsibilities at a time when few candidates were to be found”. [vi] This was to be a very hollow victory indeed given that the CPGB was soon to pass into oblivion and the succession of congresses to win was coming to an end. In terms of the Labour Party, Straight Left took the BRS injunction of developing an alliance with Labour to effect radical changes to its logical conclusion by arguing that the CPGB should affiliate to the Labour Party and, more controversially for both the left and right of the CPGB, that the party should end its independent electoral work. Thus a typical article in Communist argued: “… it is difficult to see there being much movement against the exclusion of communist trades unionists from the Labour Party until our electoral strategy is based on non-sectarian principles and imbued with a thoroughly consistent and positive attitude to the Labour Party.”[vii] Thus Straight Left picked up clearly on the attitude of the pro-Soviet CPGB opposition of the 1960s, which consistently drew attention to the political impact of declining electoral votes on the avowed Labour-Communist strategy of the party. However, this opened up Straight Left to jibes of ‘liquidationism’ from both left and right in the CPGB[viii] and, in retrospect, isolated the group further. Democracy for the working class has at all times been infinitely greater in the Soviet Union than in Britain. Political power in the Soviet Union is exercised for the working class and not against it. Concretely the Soviet citizen has human rights we are denied. He works for himself, collectively; and he is not unemployed. Neither did this stance seemingly allow criticism of even the most crisis-stricken and sickly military dictatorships of countries such as Poland in the early 1980s. Straight Leftist Charlie Woods, complaining bitterly of CPGB criticisms of the Polish regime in 1983, said: “After all, how would our [CPGB] leadership take it if the over two-million-strong Polish United Workers Party took time off from trying to solve the problems of socialism to remonstrate with our 16,000-member party’s failure to achieve it at all.”[ix] The implication of this little homily being, of course, that those British communists really shouldn’t venture to criticise their Polish brethren at all. Fergus Nicholson used the pseudonym ‘Harry Steel’ when writing in Straight Left (Harry after Harry Pollitt, the CPGB’s most-revered general secretary; and Steel after Joseph Stalin the so-called ‘man of steel’). 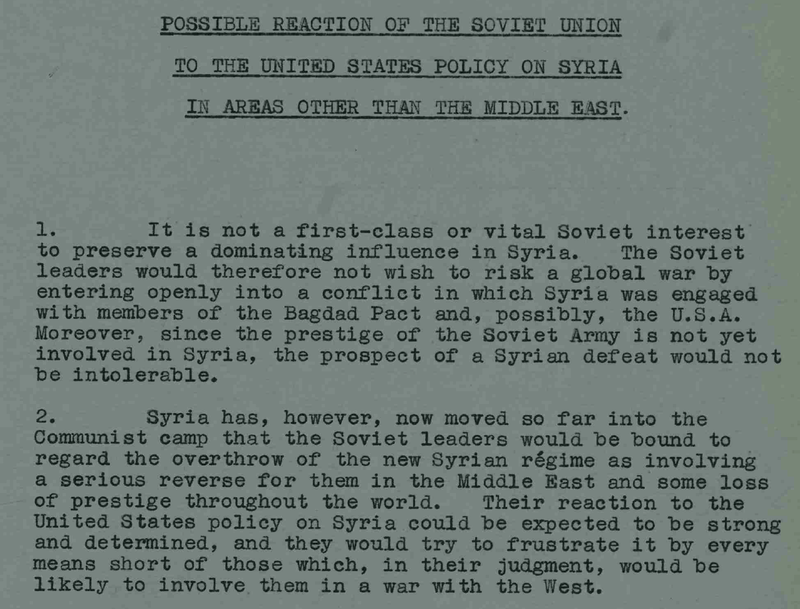 The attitude that the faction took to the Soviet Union shows that this was no idle affectation. The Straight Left journal existed until the early 1990s, but many of its followers ended up joining the Communist Party of Britain, which was set up from the CCG in 1988. 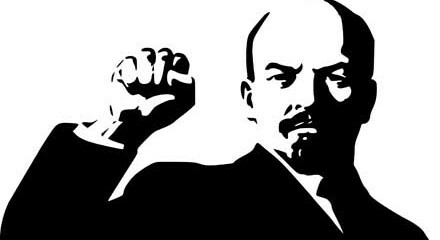 Unlike The Leninist faction, which became the new CPGB in the late 1990s, the Straight Left faction faded into obscurity after the breakup of the original Communist Party of Great Britain. Lawrence Parker is the author of the book, The Kick Inside: Revolutionary Opposition in the CPGB, 1945-1991. He has also contributed a chapter on anti-revisionism inside the CPGB in the 1950s and 1960s for our edited collection, Against the Grain: The British Far Left from 1956. [i] It was difficult for a generally Stalin-supporting left in the CPGB to discard the legacy of the 1951 version of the BRS, particularly after John Gollan had helpfully pointed out that Stalin oversaw its incarnation. See John Gollan ‘Which road?’ Marxism Today July 1964. For a clear example of this ambiguity being shown to the BRS, see the contribution of Fergus Nicholson to the CPGB’s 1977 pre-congress debate in Comment 1 October 1977. [ii] Francis Beckett Enemy within: the rise and fall of the British Communist Party London, 1998 p234. The accession of a group of ex-Straight Leftists (including Andrew Murray and Nick Wright, who had split from Straight Left to form Communist Liaison in the early 1990s) into the ranks of the Communist Party of Britain, contributed to a bitter faction fight in the organisation, in which Hicks was eventually deposed as general secretary and a strike by Morning Star staff. [viii] For the right wing of the CPGB, see Dave Cook in the pre-congress discussion of 1981; and for the left, Alan Stevens in the same context. Both in Comment 17 October 1981. [ix] Charlie Woods The crisis in our Communist Party: cause, effect and cure 1983. Woods was a miner and party veteran from County Durham who was expelled for writing this pamphlet although he was very much viewed as a ‘fall guy’, with Fergus Nicholson or Brian Topping thought of as the more likely authors. Like many others with an interest in the history of the left, I have acquired many documents that have become rarities, yet are valuable to researchers. Taking a cue from great archival blogs such as Red Mole Rising, Big Flame and the Irish Left Archive, I have decided to start scanning some of these documents. My first try is a copy of the SWP’s newspaper aimed at black workers, Flame. Beginning in 1976, Flame, alongside the Woman’s Voice journal, was an attempt by the SWP to reach out to other social movements in the mid-to-late 1970s. In his autobiography, Tony Cliff described the paper as ‘completely ineffective in building IS/SWP membership among black workers’ and claimed that the ‘experience was completely negative’ (p. 152). By 1979, Cliff had managed to convince the party that both publications needed to be wound down. The issue I have scanned was published the month following the ‘Battle of Lewisham’ in August 1977, when anti-fascists and the police fought each other at a counter-demonstration against a planned ‘anti-mugging’ march by the National Front. There is a centre-spread of photos from the demonstration, most of which can be found in David Widgery’s Beating Time book. The issue also features articles on South Africa, Zimbabwe and the Notting Hill Carnival. The far left in Britain – communism, Trotskyism and anarchism – has been the subject of relatively little academic research. One reason may be the view that their dismal electoral performance renders them uninteresting, but the editors of this volume argue persuasively that the far left has been influential in voicing dissent from mainstream political positions and in building or supporting social movements to articulate that dissent. The most compelling evidence for this claim stems from the role of the Trotskyist movement in creating two kinds of social movement. These were the anti-war movements of the 1960s and 2000s: the Vietnam Solidarity Campaign and the Stop the War Coalition, respectively, both of which mobilised hundreds of thousands of protestors. Over the same period, Trotskyists were also active in initiating anti-racist campaigns – most notably the Anti-Nazi League, which was one of the most successful British social movements. At its height, it comprised over 40,000 members in 250 branches, easily dwarfing its less impressive successors Anti-Fascist Action and Unite Against Fascism. Three chapters in the book argue that these organisations were relatively successful in curtailing the spread of far-right organisations such as the National Front, British National Party and the English Defence League. Individual Trotskyists played a major role in all of these organisations, and they did so with the explicit approval, and often at the instigation of, their parent organisations. On the other hand, other chapters show that Trotskyist organisations struggled to come to terms with the women’s and gay rights movements. The main reason is that feminist and gay activists in groups such as the International Socialists often demanded a degree of autonomy that clashed with the highly centralised organisational structures favoured by Trotskyists. The Communist Party (CPGB) appears to have been more open to the influence of ‘new social movements’, but its positive engagement with women and gay activists was soon overwhelmed by the bitter inner-party struggles of the 1980s prior to the CPGB’s dissolution in 1991. Other chapters on the CPGB throw new light on the factionalism within the organisation, undermining the idea that splits and divisions are peculiar to the Trotsyist movement. Overall this is a very valuable, path-breaking study of a neglected, but significant facet of British political culture. We are hopeful that a paperback version of the book will be available some time in 2016, but if you don’t want to wait for that, Blackwell’s is still selling the hardback version with a £10 discount and free shipping. A story has appeared in The Guardian today that the UK Appeals Court has ruled that it is legal for foreign convicted criminals to be deported without their chance to appeal from the United Kingdom. The right to appeal before deportation was originally enshrined in the Immigrants Appeals Act 1969 and was long considered a problem by the Conservatives to an effective border control system. The following post is based on my research into the UK border control system and counter-terrorism in the 1970s and 1980s and the efforts by Lord Carrington in 1980 to speed up the deportation process for those suspected on being involved in terrorist activities. The power to deport on security grounds has been used very rarely and has proved cumbersome and difficult to operate… The Security Service have gained the impression that Ministers would be reluctant to utilize this procedure. It may be that difficulties [with the deportation process] have been over-emphasised and that where intelligence suspicions concern terrorism, particularly by Arab nationals, public opinion would be less critical of the exercise of the security provisions and Ministers would readily consider exercising them. The real constraint however seems likely to remain the availability of intelligence about an individual to justify action. A similar report enthused that the authorities could deport foreign officials from countries such as Iraq, Iran and Libya (including diplomats) by declaring them persona non grata if there was a suspicion that they would be involved in terrorist activities. The report advised the government ‘could declare a person p n g if we found out that he had links with organs of state terrorism and… [it] would be a punishment to those concerned and would also have a deterrent effect.’ The benefit of this, the report continued, was that ‘[n]o reason need be given for declaring a person p n g so the risk of compromising our sources of information would be lessened.’ A letter to Hurd’s Chief Clerk from the Maritime, Aviation and Environment Department claimed that the power to declare a foreign official or diplomat persona non grata was ‘clear, straightforward and unilateral’ and was granted under Article 9 of the Vienna Convention on Diplomatic Relations, but warned that this might result in retaliatory actions against UK representatives in other countries. This discussion reached the top levels of the government, with Peter Carrington imploring Willie Whitelaw to ‘consider more extensive use of your existing powers under section 15(3) of the Immigration Act 1971’, and argued that the it was view of the FCI that ‘these powers could be a useful weapon against suspected terrorists as well as other undesirables’. Carrington also suggested that Whitelaw proceed with limiting the legal procedures that can delay the deportation of a foreign national, ‘once this has been ordered in the interests of national security as conducive to the public good.’ This was tied to Carrington’s private concerns that the ‘entry clearance system cannot be a fully effective barrier’, particularly if the sponsors of state terrorism were ‘intent on getting a terrorist into this country… or chooses to employ someone already here’. A letter from the FCO to Gerald Hayden Phillips, Assistant Secretary in the Home Office, stated that Carrington was ‘inclined to think there would be more substance in changing the immigration rules so that the Home Secretary could swiftly deport suspected terrorists without running into the Agee/Hosenball difficulties and in extending the Prevention of Terrorism Act.’ Whitelaw’s response was that for the Immigration Act to be effective in deporting suspected terrorists without appeal, ‘the legislation would have to be in sweeping terms, giving the Home Secretary the right to deport instantly without right to appeal’ – a legislative move that he described as ‘highly controversial’. In 1983, a report by Lord Jellicoe into the operation of the Prevention of Terrorism (Temporary Provisions) Act 1976 recognised that Middle Eastern terrorism was an increasing threat to the UK, writing ‘[m]any fear that London… could become a battleground for warring Middle East terrorist factions’, and recommended extending the powers of arrest and detention at ports under the Prevention of Terrorism Act to ‘suspected international terrorists of any group, cause or nationality’. 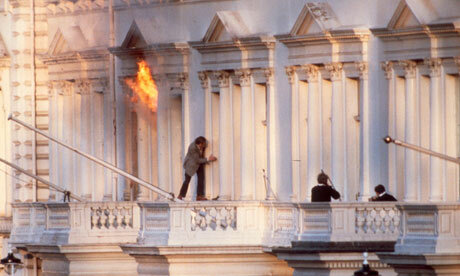 The subsequent amendments in the Prevention of Terrorism Act (Temporary Provisions) 1984 was the first legislative step for the UK authorities to create a generalised counter-terrorist response, rather than a focus on Irish terrorism with other forms of terrorism as a side concern. ‘Near East, North African Terrorism in Great Britain: Possibilities for Preventive Action’, n.d., p. 5, FCO 50/685, NA. Draft letter from Douglas Hurd to Timothy Raisom [second version], n.d., FCO 50/685, NA. Draft letter from Douglas Hurd to Timothy Raisom [second version]. Draft letter from Douglas Hurd to Timothy Raisom [first version], n.d., FCO 50/685, NA. ‘Near East, North African Terrorism in Great Britain’, p. 5. ‘Near East/North African Terrorism in Great Britain’, p. 6. Letter from M St E Burton to Mr Adams, 20 November, 1980, p. 5, FCO 50/686, NA. Letter from the Foreign Secretary to the Home Secretary, 5 December 1980, p. 4, FCO 50/686, NA. Letter from the Foreign Secretary to the Home Secretary, 5 December 1980, p. 4. Letter from M St E Burton to G.H. Phillips, 26 August, 1980, FCO 50/685, NA. Letter from Willie Whitelaw to Peter Carrington, 6 November, 1980, FCO 50/686, NA. ‘Near East/North African Terrorism in Great Britain’, p. 7. Letter from Willie Whitelaw to Peter Carrington. Rt. Hon. Earl Jellicoe, Review of the Operation of the Prevention of Terrorism (Temporary Provisions) Act 1976 (London: HMSO, 1983) p. 27. From The Guardian, 12 November, 1975, p. 13. The Museum of Australian Democracy has announced that in commemoration of the fortieth anniversary of the dismissal of the Whitlam government, it will be tweeting the events of late 1975 leading up to 11 November. This will be a very interesting for those into in Australian history and helpful in understanding how the events in the weeks beforehand led to the dramatic dismissal of Whitlam by the Governor-General John Kerr. For the last few years, one of my many research projects has been looking at how the UK government reacted to the dismissal and when I was last in the UK, I examined the FCO files relating to the ‘constitutional crisis’ of 1975. These files, which I discussed here and here, are mainly correspondence between the British High Commission in Canberra and the FCO in London, giving an account of the events leading up to the dismissal and then offering advice to the Wilson government on how to proceed, particularly as there was confusion over whether the Queen could have intervened in the crisis. One of the very interesting things to read in the files is the interpretation of the events leading up to 11 November, 1975 from the perspective of the staff at the High Commission. These are mostly letters written from J.M. Hay in Canberra to Alan Clark in the South-West Pacific Department of the FCO in London. I thought I would highlight some of this correspondence from the files. There are indeed strong hints that the Mr Whitlam would soldier on should the Senate block supply and would return the budget bills to the Upper House for reconsideration while gradually turning off the tap on various Federal financial commitments. I doing so, he would hope to persuade the electorate that the Opposition was doing damage both to the Constitution and to the economy and thereby reverse the trend in the opinion polls. Mr Whitlam and Mr Fraser seem set on a collision course, and more and more often the Governor-General is mentioned as the final arbiter. Mr Whitlam has given his very firm opinion that the Governor-General cannot take any step such as dissolution of Parliament without the advice of the Prime Minister… Mr Fraser, on the other hand, has made equally clear his opinion that the Governor-General has the power and the duty to dismiss the Government in order to resolve the crisis. It must be a very lonely time for Sir John Kerr. 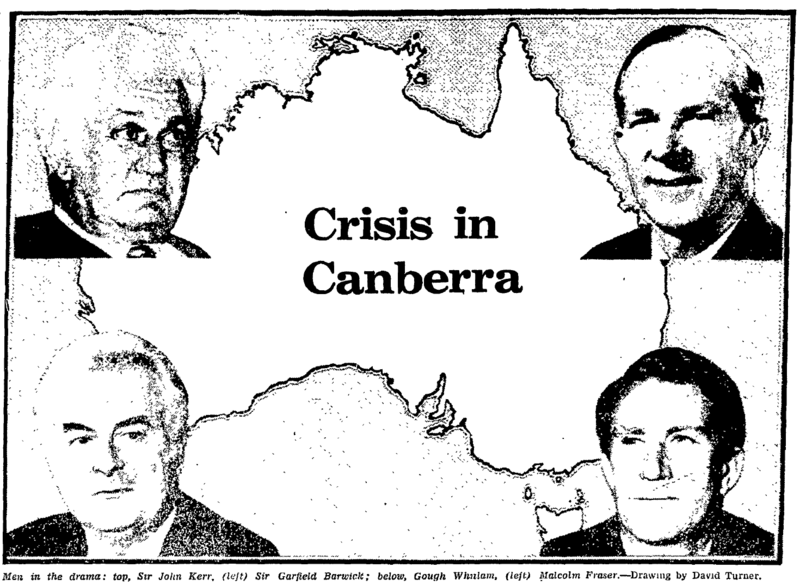 We do not seem to be much nearer a solution to the political deadlock in Canberra and both Mr Fraser and Mr Whitlam are standing firm on their positions. It begins to look, however, as though the former’s support, both amongst his own colleagues and in the country, is beginning to leak away. Mr Fraser is now in the position that he can no longer be absolutely sure of the support of his colleagues in the Senate… Mr Fraser must now seriously doubt whether Opposition Senators will continue to fall into line on motions of deferral, never mind one of outright rejection of supply. Hay concluded his letter that there were ‘no signs of compromise’, but that Fraser was unlikely to ‘gain… the support he need either in the Senate or in the country’. It is difficult to see what Mr Fraser hoped to gain out of making an offer which he must have known… that Mr Whitlam, who believes that Governments are made and broken in the House of Representatives, would reject out of hand. In making the offer Mr Fraser also damaged his own position by effectively shifting his ground from a stance of principle to an admission that his tactics have been no more than a grab for power. In doing so he showed weakness in the face of the enemy – and few now have any doubts about the degree of personal animosity which exists between the two leaders – which would inevitably stiffen Mr Whitlam’s resolve. Throughout the correspondence from late September to early November, Hay expressed concern that the deadlock was continuing and lamented that both Whitlam and Fraser seemed unwilling to compromise. It seemed, from Hay’s writing, that the British High Commission were dissatisfied Fraser’s politicking and expected that the Opposition’s tactics would not lead to the dismissal of the government in Fraser’s favour. My reading of this correspondence suggests that the High Commission expected Whitlam to survive the crisis and that the Australian public were not interested in returning the polls so quickly, as an election had been held in 1974 and was not due to be held until 1977.
such advice could well offend the Governor-General who might feel he was being told how to advise on a matter for which he is already well qualified, while Mr Whitlam, if he heard of it, would inevitably suspect the UK’s involvement. However when the dismissal did occur, the High Commission were taken by surprise and there were debates about what to send Fraser after being made caretaker Prime Minister as ‘a message in conventional terms would clearly be inappropriate’. In a telegram from the High Commission to the Prime Minister’s Office, dated 12 November, it was recommended that Harold Wilson ‘be advised to send a brief but friendly message’, wishing ‘Mr Fraser and his government well in discharging the responsibilities of their new offices and look forward to working with them in the spirit of friendly co-operation which traditionally shapes relations between British and Australian governments’. Despite earlier predictions that Whitlam would survive this challenge by Fraser, after the dismissal, the High Commission predicted that the Liberals would win, although they feared that the Liberals would control the lower house while Labor would control the Senate, leading to the same predicament in 1976. The High Commission started to favour a Liberal-National Party victory as this would mean closer and more straightforward ties between Australia and the UK, believing that if Labor was re-elected, Whitlam would seek to loosen ties with the UK, particularly making moves towards abolishing Australia’s ties to the British Monarchy. In the end, the fears of the British were allayed by the electoral victory of Fraser’s Liberal-National Party coalition. These files reveal that the British government were keenly following the events in Canberra leading up to the dismissal in November 1975, while hoping that the events would engulf them and require intervention by London or the Queen. It is interesting to see that the High Commission underestimated the tenacity of Malcolm Fraser to unsettle the Whitlam government and to provoke such a crisis that needed the Governor-General to act in the way that he did. The 1970s saw the relationship between Australia and the ‘mother country’ greatly change, with Britain’s entry into the European Economic Community and this constitutional crisis affecting the traditional ties. While the Australian side is well-known by now, the perspective of the British on this untangling is yet to be fully uncovered.